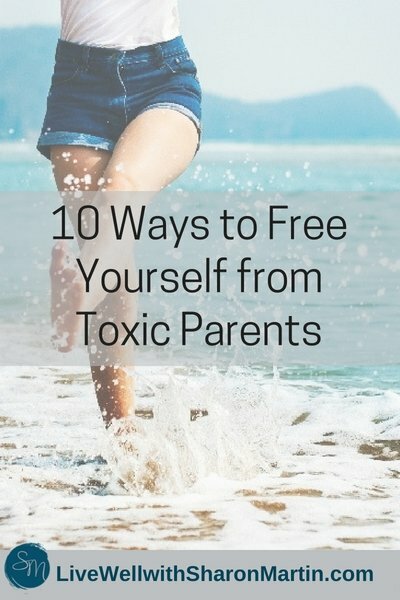 In my last post, I shared 15 Signs You Have a Toxic Parent. Awareness is a great place to begin, but if you have toxic parents, what you really want to know is how to cope with their crazy-making. How are your toxic parents impacting your life? Toxic parents can make your life miserable. They are notoriously manipulative, controlling, and critical. They make it difficult for you to emotionally separate yourself from them so that you can make your own choices, set your own goals, and live a life that’s fulfilling for you. Instead, you may find yourself questioning your decisions, never feeling good enough, and riddled with guilt when you say no to them. Left unchecked, toxic parents can take over your life and cause significant psychological damage. It’s not uncommon for adult children of dysfunctional, alcoholic, or toxic parents to feel trapped – unable to stand up for themselves and futilely trying to appease their parents. One of the great things about being an adult is that you get to decide what kind of relationship to have with your parents. You have choices – probably more choices than you realize. As a therapist who helps adults cope with their toxic parents, one of the biggest barriers I see is that adult children feel like they can’t make their own decisions; they think they have to keep doing things as they’ve always done them (the way their parents want them to). Your relationship with your parents doesn’t have to be like this. And although you can’t change your parents or magically transform your relationship, you can begin to break your family’s dysfunctional patterns. You get to decide how and when to relate to your parents. You get to decide what’s right for you. 1) Stop trying to please them. It’s normal to want your parents’ approval, but toxic parents are nearly impossible to please. And more importantly, it’s your life and you’re entitled to make your own choices and do what makes you feel good. Living your life according to someone else’s values and goals will leave you chronically unhappy and unfulfilled. And if you live your life trying to please your parents, you’ll be their captive -- forever seeking validation and love from people who probably can’t give it to you. When you give them this type of power, you allow your parents to determine your self-worth – to tell you whether you’re smart, successful, a good parent, a worthwhile person, and so on. Reflective questions: What do you do in order to please your parents even though it doesn’t work well for you? What do you need to do for yourself, even if your parents disapprove? 2) Set and enforce boundaries. Boundaries help us set clear expectations and limits for how others can treat us. Boundaries create emotional and physical space between you and your parents. This is probably something you didn’t have as a child, so it can feel uncomfortable to set boundaries and start telling your parents how you want to be treated. Toxic people resist boundaries; they want to be in control. Setting boundaries with toxic people is difficult because they don’t respect limits, but don’t let that deter you. Boundaries are essential to all healthy relationships. Remember, it’s okay to limit contact with your parents, tell them no, come late or leave early. It’s even okay to have no contact with your parents. You don’t owe them anything! Relationships need to be built on respect and you can’t respect people who continually treat you poorly. Reflective questions: What boundaries do you need with your parents? What’s one step you can take toward setting those boundaries? 3) Don’t try to change them. Trying to change people who don’t want to change is a waste of energy (and will leave you extremely frustrated). Instead, focus on what you can control – how you respond to your parents, your choices and behavior. Reflective questions: How do you try to change or “fix” your parents? How do you feel when you inevitably fail to change them? With regards to your relationship with your parents, what’s in your control? 4) Be mindful of what you share with them. Trust is an important element of healthy relationships and we should only share personal information with those that have proven themselves trustworthy. Unfortunately, your parents may not fall into this category if they gossip about you, criticize, share things about you without your permission, or use what you tell them against you. You aren’t obligated to tell them everything (or anything) that’s going on in your life or answer their questions. Share only what feels comfortable and safe. Reflective questions: What does it feel safe to share with your parents? What doesn’t feel safe? 5) Know your parents’ limitations and work around them -- but only if you want to. I know many adult children of alcoholics who know they can’t change their parents’ drinking and recognize that their parents become forgetful, aggressive, or otherwise difficult after a certain time of day (when they’re intoxicated). So, they plan their phone calls, visits, and family get-togethers for earlier in the day to avoid the worst of their parent’s behavior. This is an effective coping strategy for some, but you certainly don’t have to plan your life around your parents. Quite the contrary, work around their limitations only if they work for you. It’s completely valid to have your birthday party in the evening and not invite your parents because you don’t want them to ruin it. Remember, you have choices and you don’t have to justify them to your parents. Reflective questions: Are there ways you work around your parents’ limitations? Do these compromises truly work for you? If not, what changes do you need to make? 6) Always have an exit strategy. When things start deteriorating, take that as your cue to leave (or ask your parents to leave). Chances are that things will only escalate (they’ll drink more, get angrier and more obstinate). So, it’s safer to end your time together at the first sign of trouble. You aren’t obligated to stick around just to be polite or to make your parents happy. Reflective questions: How can you get out of a difficult situation with your parents? Do you and your spouse or partner have a signal to let each other know when it’s time to leave? If not, would one be helpful? 7) Don’t try to reason with them. There’s no way to reason with someone who is irrational, emotionally immature, or intoxicated, so don’t expend a lot of energy trying to get your parents to see your point of view. It can be sad and frustrating to accept that you can’t have a healthy and mature relationship with them because they are closed-minded or empathy-challenged. Be assertive about issues that matter to you, but at the same time, don’t expect your parents to care about or understand your point of view. 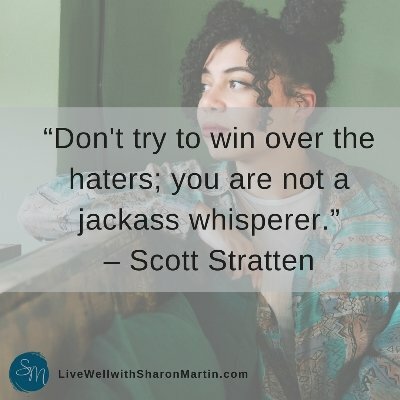 Try not to get dragged into arguments or power struggles that degrade into nasty bouts of name calling and other disrespectful behaviors. As I’ve said before, you don’t have to attend every argument you’re invited to. Choose to disengage instead. Reflective question: How can you take care of yourself or disengage when your parents can’t see your point of view or aren’t interested in your perspective? 8) You don’t have to be at your parents’ beck and call. This is a much-needed type of boundary. Toxic people will take and take unless you say no to their excessive demands. You can help them out if it’s feasible and if it’s appreciated, but you’re not obligated to be their chauffeur, maid, gardener, or therapist – especially if they're treating you like dirt the whole time. Nor do you have to be their errand-boy, on-call 24-7. Nor do you have to take their phone calls or reply to their texts immediately. Reflective questions: How do your parents exploit your kindness by expecting you to meet their demands 24-7? How does it feel to recognize that you aren’t obligated to do things for them? Can you release some of the guilt by remembering that you’re setting healthy boundaries and taking care of yourself just as other adults do? 9) You don’t have to spend the holidays with your parents. That’s right! You deserve to enjoy the holidays and that might mean spending them away from your parents. In some families, there’s a lot of pressure to maintain family traditions, but this often comes at the expense of your own happiness and peace of mind. Now might be a good time to start your own holiday traditions or be creative about how you spend the holidays. Perhaps you’d like to celebrate Friendsgiving or go on vacation over the holidays. Reflective questions: What holiday traditions would you like to change or omit because they cause stress or family conflict? 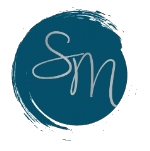 How can you create holidays that are enjoyable to you and reflect what’s important to you? 10) Take care of yourself. Dealing with toxic parents is stressful and that stress takes a toll on your emotional and physical health. It’s essential that you take extra good care of yourself. Start with the basics like eating healthfully, getting enough rest and sleep, exercising, connecting with positive people, acknowledging your feelings and giving them a healthy outlet, getting support, and having fun. It will be easier to set boundaries, choose to respond differently or detach when you’re at your best physically and emotionally. Reflective questions: Take a few minutes to sit quietly with yourself. How do you feel? What do you need right now? How can you give yourself more of what you need? You can also download a free self-care planning worksheet when you sign-up below for my emails and resource library. Changing the ways you relate to your toxic parents can be scary because it will most certainly upset the status quo! It’s only natural that your parents will resist the changes you try to make. 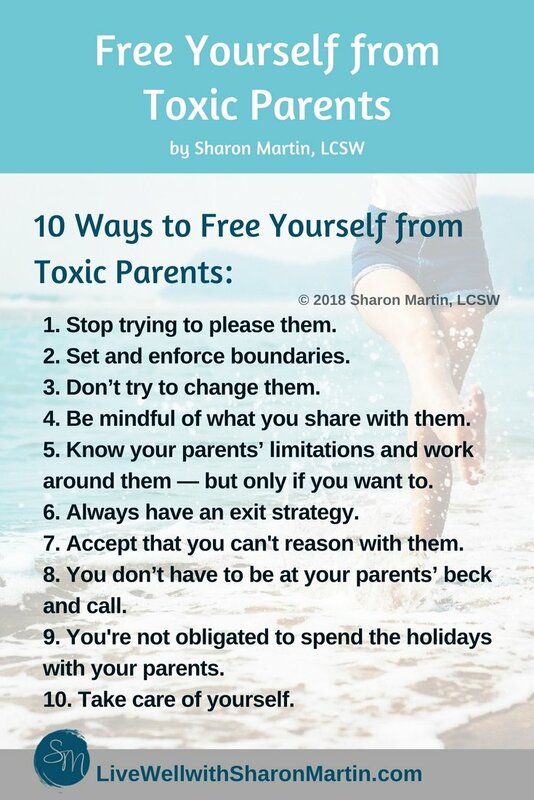 Transitions are difficult and stressful but setting boundaries with your parents is the path to freedom from their toxic energy and expectations. You are the only one who can change your relationship with your parents and you can start today! What small step can you take today towards reclaiming your life? So good Sharon. My mother was controlling and manipulative and my dad just enabled the behaviour. Saying NO to mum was fraught with all sorts of guilt trips, shaming and the silent treatment for days and sometimes weeks on end. It took me a very long time to set strong boundaries with them without feeling guilty or caving into what they wanted. My marriage also suffered because I never really “left home” and seemed to be at my parents’ beck and call whenever they needed me. I couldn’t seem to break away and just have a life of my own. Thankfully for the past decade after educating myself on various issues such as co-dependency etc I’ve been able to untangle myself and move forward with my life. I really appreciate your help and advices ma’am, but what you’re saying basically means that there’s no way to protect myself from my parents’ emotional exploitation if I’m a school kid with introversion amd autism? I would encourage you to seek help and support from another adult in your life. Often a teacher, doctor, school counselor, friend’s parent, or another caring adult can help mitigate the harmful effects and give you guidance. I wish you the best. I know it’s a very painful situation and I hope you can get the help and support you deserve. I enjoyed reading this, Sharon. I am a 47 year old woman who was raised by a toxic mom. I crave independence. My Mom tries to sabatoge it. She took me to court to gain shared custody of my son. She used my benign brain tumor against me. No doctor would have said that I am too medically incompetent to raise my son. She fought me for custody when I moved 5 hours away from her. She also called up my boyfriend’s mom and was saying all these nasty things about me. My boyfriend’s mom defended me. My mom was trying to break us up. The one day, my Mom wanted to get together with me, but I had plans with my boyfriend. She was so furious, she called my employer and got me fired! When my boyfriend died from cancer, she wanted me to move back home. I have totally cut my Mom out of my life. I don’t miss her at all. The Mom I thought I had, died a long time ago. I am so thankful that I could afford to live on my own and avoid the toxicity of my mom. I wouldn’t permit a friend to treat me how my mom has. Well done Lori. I wish you all the best. Thank you so much, Belladonna. Thank you for this! It helped me to find I’m on the right way.